You can find links to buy a lot of my work on the My Books page, but in the run-up to Christmas I will be showcasing a dozen of them that make ideal gifts for the geek in your life. 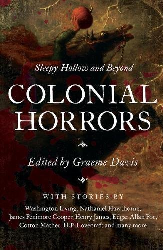 The first is Colonial Horrors, a curated anthology of tales from the earliest years of American horror. 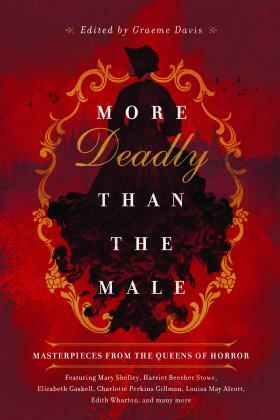 The book was first published last October in hardback, and a paperback edition was released a few weeks ago: Amazon also offers a Kindle version. It is a curated anthology, with an introduction discussing the origins of horror fiction in America, and individual notes on each story. There are seventeen tales in all, published from 1684 to 1927, all of them chosen for the light they shed on the Colonial era and its role in American horror. Just as the European Gothic features the wild mountains, crumbling castles, and ruined monasteries of that continent, so the American Gothic looks to the dark forests, inward-looking towns, and stifling religion of the colonies. From the accounts of the Salem witch trials in 1692 to the 2015 movie The VVitch with its old-fashioned typography, from the earliest tales of the Jersey Devil to the beloved and oft-adapted tale “The Legend of Sleepy Hollow,” the collection covers both the familiar and the unexpected. The cult movie The Blair Witch Project was based (very loosely, as it turns out) on a reported haunting. Colonial Horrors can be found at any online retailer and at many good bookstores. The publisher, Pegasus Books, has this to say about it. While I have loved mythology, folklore, and monsters from an early age, there are few things I find more satisfying than when science and common sense provide an explanation for something that was previously regarded as supernatural. To my mind, a scientific explanation does not make the world a duller, less magical place, and a myth is no less interesting or beautiful for being debunked: it still provides an insight into humanity’s lifelong struggle to explain and understand the world around us. And of course, the chupacabra will probably remain a potent image in fantasy and supernatural fiction and games. Rightly so: it has earned its place every bit as much as any ghost or ghoul. Game stats for the Pathfinder fantasy RPG, from Paizo Publishing. The Chupacabra dice game, from Steve Jackson Games. Rogue Games’ Colonial Gothic Bestiary includes game stats for the chupacabra as well as other legendary American creatures. 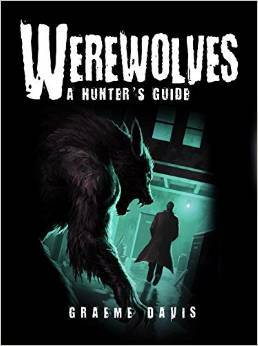 If you know of any more great chupacabra resources for gamers and fantasy fans, feel free to add them in the comments below. I just read a disturbing twist on this tale. In the early 20th century, sarcoptic mange was deliberately introduced into coyote populations in an attempt to wipe them out. This makes it quite possible that the chupacabra is a man-made monster. For this story and many others about the War Against Coyotes, I highly recommend Dan Flores’ book Coyote America. A quicker read, from the Casper Star-Tribune in Wyoming, is here. To me, that is scarier than any cupacabra monster story.